Today, I have for you, a tale of two artichoke dips. At Christmastime, I tried a new-to-me recipe for a baked artichoke dip. Shallots, garlic, and artichoke hearts were sauteed in olive oil and then simmered in white wine until it reduced. Softened cream cheese was mixed with grated Gruyere, lemon juice, and hot sauce, and the vegetables were folded into that mixture. It went into a little baking dish and was sprinkled with panko and grated Parmigiano-Reggiano. The dip was baked until bubbly, and then topped with crispy, fried shallots. It was spooned onto pieces of toasted bread while still steaming. This dip was deliciously savory and layered with flavors; it was gooey and rich. In fact, it was so rich that after one bite, I was done. From now on, I’ll think of it as the extra-decadent, wintertime artichoke dip. For spring, I wanted something different. And, after learning how good for you artichokes are, I wanted something that I could enjoy more often. While flipping through River Cottage Veg , I found it. It’s Artichoke and Bean Dip, and there’s no heavy cheese in it at all. It’s not entirely spartan since the vegetables are sauteed in olive oil before being added to the dip, and some thick yogurt helps bind the mixture. But, it’s made up of things you can feel good about eating without feeling stuffed after one bite. Step one should be to finely chop a few garlic cloves and let them sit for about ten minutes while prepping the other ingredients. (Chopped garlic should sit for ten minutes before being cooked to allow time for allicin to form which is a very good for you antioxidant.) Meanwhile, finely chop a small onion. I used a small amount of red onion, and some young shallots from my CSA as well. Seven ounces of artichoke hearts in brine should be drained. The onion and shallot were sauteed in a small amount of olive oil, and the garlic was added. Next, chopped fresh oregano leaves were added, and I was happy to get to use some from my herb garden where it’s growing like crazy. Rinsed and drained, canned cannellini beans were added next and just cooked until warm. The entire mixture was transferred to the food processor. I chose to hold back the artichoke hearts rather than add them with the bean mixture at this point. My thinking was that I wanted a somewhat smooth bean mixture with larger chunks of artichoke hearts. So, I pulsed the bean mixture until it looked almost smooth, and then added the artichokes for just a pulse or two. Lemon juice, chile flakes, and a couple of tablespoons of yogurt were added and folded into the dip. The vegetables should be seasoned while sauteing, but taste for seasoning after adding everything. 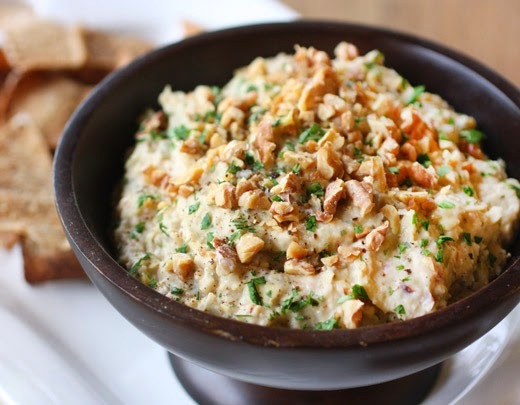 In the serving bowl, the dip was topped with chopped, toasted walnuts. I baked some pita wedges for scooping up the dip and enjoyed a snack that lasted for more than one bite. It was a tasty mix of flavors while still warm, but it got even better after all those flavors mingled while it sat in the refrigerator for a few hours. It’s perfect for dipping pita wedges, tortilla chips, or vegetables, and this would make a great filling for a wrap or a spread for a sandwich. Now, I have a go-to artichoke dip for spring or anytime I want something a little lighter. Marvelous! This dip is absolutely mouthwatering. Looks scrumptious! I love the combo of beans and artichoke hearts. I'm so going to prepare this. It will be on our table for the Easter brunch! This recipe is so interesting and dip looks just delicious! I have yet to try artichoke but I am liking the combination of flavors and choose to believe I will like it. It's on the cusp of the local artichoke season, complete with the annual Castroville Artichoke Festival. New recipes to enjoy these spring gems are always a treat! This lovely dip would be perfect for Easter! I've had artichoke dip on the brain lately. Not chocolate (which I always thought was my passion :), but artichoke dip. And this one fits the bill. I hope to try it this spring! This looks wonderful! 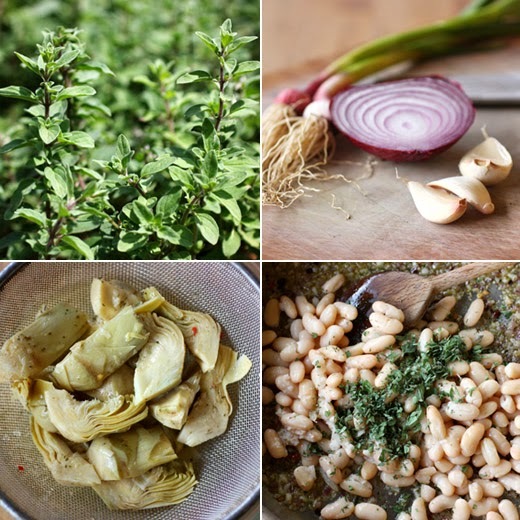 Artichokes and white beans work so well together, but I've never had them in a dip. But you know I will! Thanks. Now this is speaking my language. 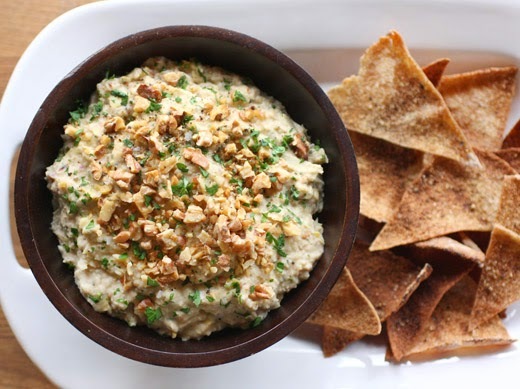 Two of my favorite things are: artichokes and white bean dip. And this add them together. Brilliant. This looks divine - actually both dips do I must say! :D Although we're at opposite seasons I'm still craving the sound of this dip! I love artichokes and this look amazing! This sounds really delicious Lisa. Pinned. Sounds marvelous! I'll have to try this for my next party! this is the ideal way to consume artichokes! i'd park myself right in front of a dip like this and nosh away. This dip sounds fabulous! I'd eat it all up. Nice dip Lisa, I love the idea of white beans since it is so creamy...and yest artichoke just sound fabulous. Hi Lisa! I like your blog! Here's mine: http://golosedelizie.blogspot.it/ I hope you will like it!! mmmmmm artichokes and beans? Garlic? Yes. Yes. And I'm happy to see you did not use fresh artichokes because now I'll make it.